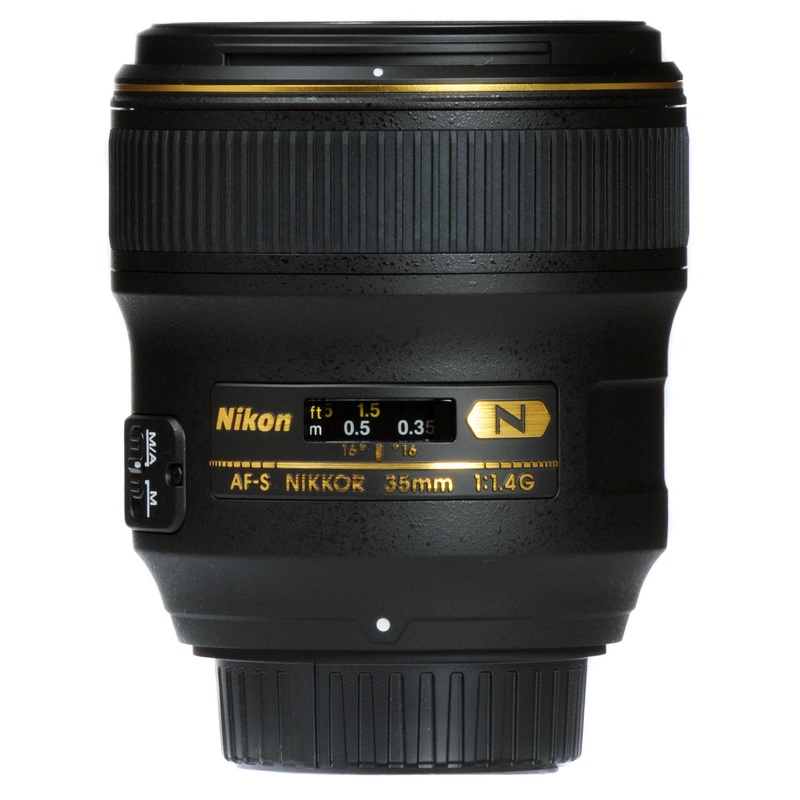 The Nikon AF S Nikkor 35mm f1.4G Lens completes its existing 35mm prime lenses line-up with a high end wide angle lens, fitting all Nikon cameras. Nikon’s most respected Nikon 35mm f1.4 G AF-S Nikkor Lens deliver sharp images and its fast maximum aperture make sure a bright viewfinder image and beautiful background blur. The moderate wide angle capability of the lens is appropriate for interiors, weddings, photojournalism and landscape photography. 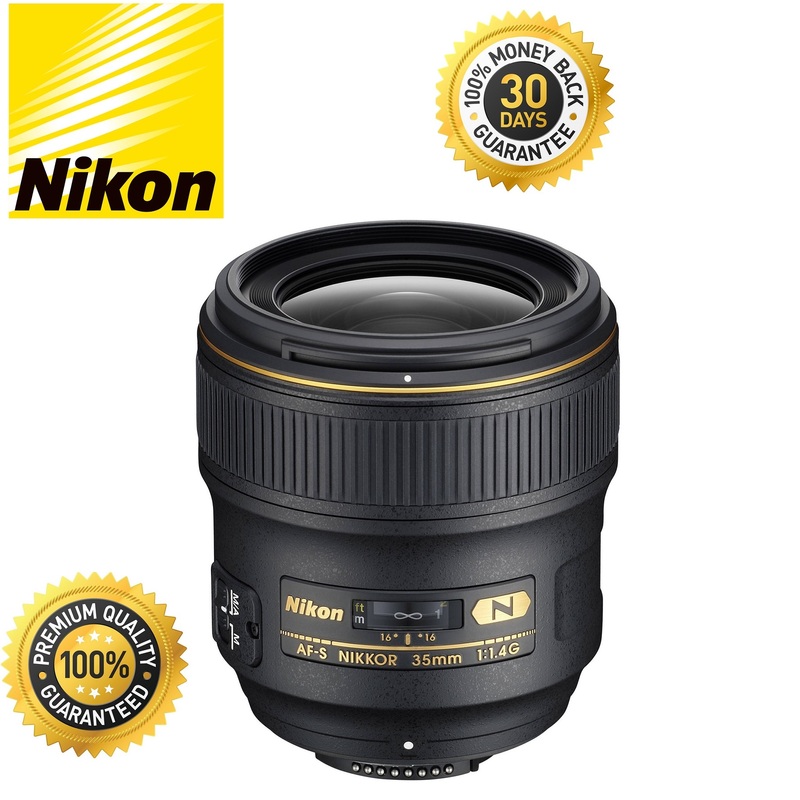 Nikon 35mm f1.4 G AF-S Nikkor Lens combines a natural yet versatile 35mm perspective with an ultra-fast f/1.4 aperture. The f/1.4 maximum aperture allows photographers to shoot handheld in low light and provides dramatic separation between subject and a softened background. This great addition to the NIKKOR line-up is an ultimate for shooting premium still photographs or video capture using Nikon’s D-Movie feature. 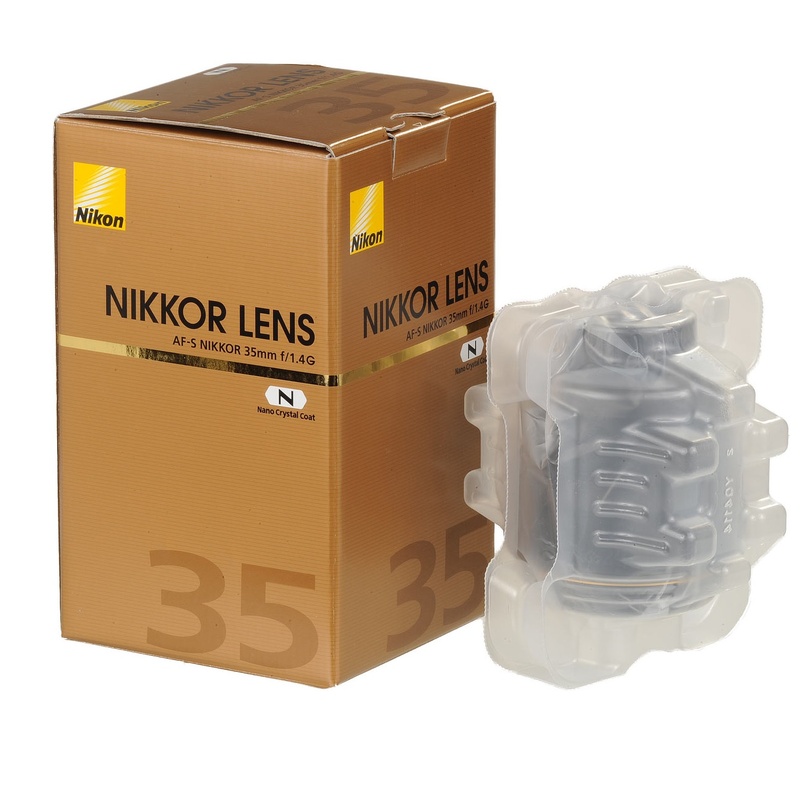 Nikon 35mm f1.4 G AF-S lens features a Silent Wave Motor (SWM) for quick, quiet, and precise auto focus and Nano-Crystal coating that Nikon uses for outstandingly sharp images, even in low-light and to reduce the flare. Its Rear Focusing (RF) system ensures that the front element won\'t rotate during focus, making it probable to use a circular polarizing filter with the lens. Two focus modes are available -- M/A and M. M/A mode uses auto focus up until the point where you move the focus ring, allowing you to fine-tune focus manually. M mode is lets you manually focus the lens. The optical design of the lens is something to behold. It features 10 elements in 7 groups, with a single aspherical element that abolish coma and other types of aberration, even when shooting wide open. A 9 blade aperture smoothes out the focus of background of an image, delivering bokeh that is very pleasing to the eye and unravelling your subject from the background. 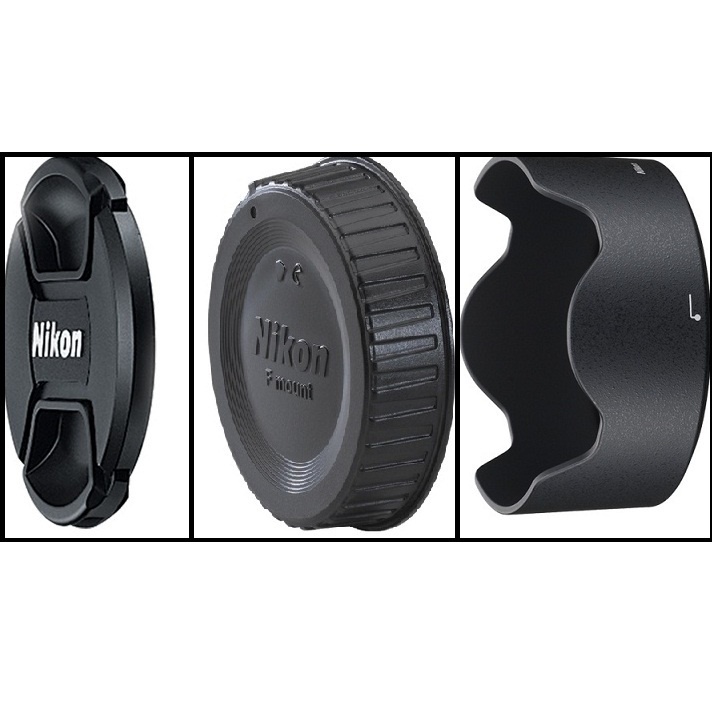 The lens can be used on Nikon FX and DX DSLRs. It is a "G" series, which means that there is no physical aperture ring; the aperture must be controlled by the camera. 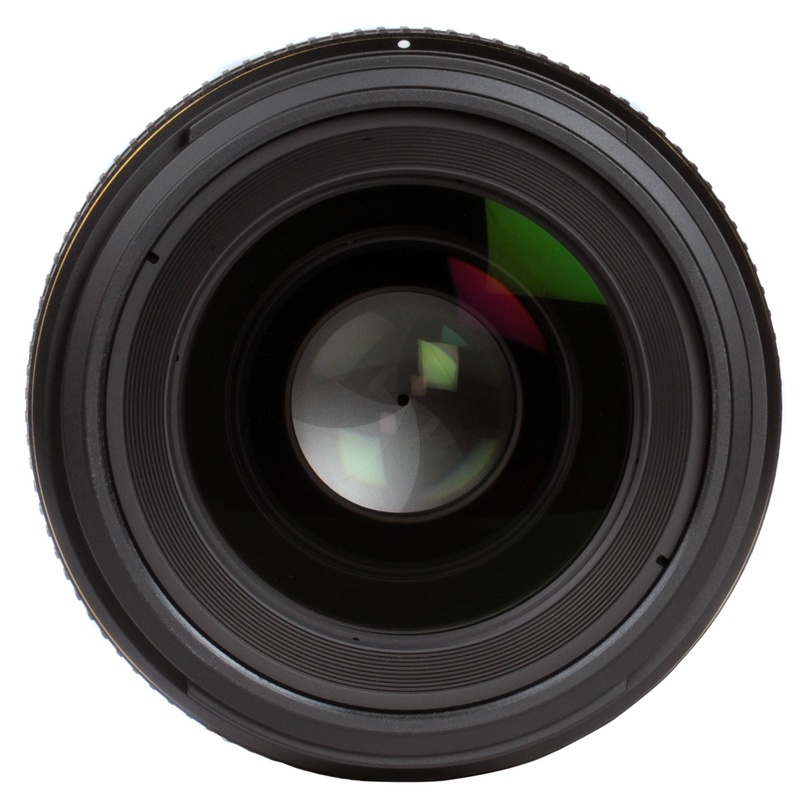 When used on a DX camera, the lens provides the equivalent field of view of a 52.5mm lens in the 35mm format. 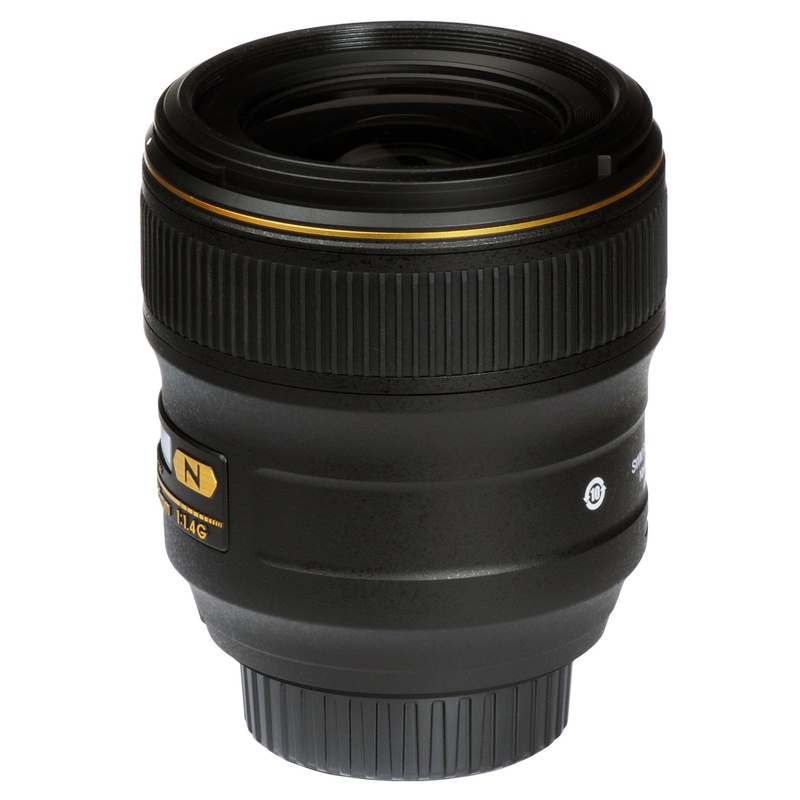 For more information about, Nikon AF-S Nikkor 35mm F1.4G Wide Angle Lens website.